It was in January1985 that song We Are the World came to life. Written by Michael Jackson and Lionel Richie, We Are The World was produced and conducted by Quincy Jones and recorded by a super group of popular musicians billed as ‘USA for Africa’. 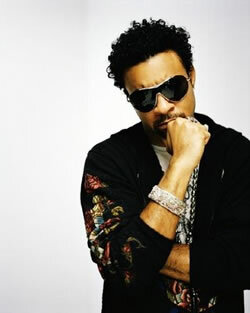 In December 2008, some of Jamaica’s finest acts loaned their voices to a new single, Save A Life, recorded in support of the project of the same name, spearheaded by diamond-selling artiste Shaggy to aid the Bustamante Hospital for Children. A project which has taken on a life of its own, it has seen the full support of the music fraternity along with corporate Jamaica which is solidly beside Shaggy in his quest to raise millions of much-needed dollars for the hospital. Artistes have given their time and talent to a fund-raising show held on Saturday January3rd at Jamaica House and has taken it a step further by doing the song, Save A Life. Among the artistes on the single are powerhouse acts including Shaggy, Marcia Griffiths, Luciano, Freddie McGregor, Gramps (from Morgan Heritage), Etana, Sean Paul, Elephant Man, Da’Ville, Tessanne and D-Lynx. Recorded on Shaggy and Robert Livingstone’s Big Yard imprint, Save A Life is definitely one of those impactful songs that will live on for decades to come. The single is supported by a video, directed by none other than ace video director, Jay Will, who just completed work with Shaggy on the highly-acclaimed Bad Man Don’t Cry video. Both the single and the video were part of the entertainment package on Saturday night at the historic, sold-out concert staged on the lawns of Jamaica House. With ticket prices ranging from $5,000 to $20,000, Shaggy’s appeal saw Jamaicans digging deep into their pockets to help the diamond-selling artiste reach his goal of raising US$2 million for the hospital. It was a night of excellent performances on a show that was well produced and ran like clockwork. There were no band changes as an all-star aggregation led by Dean Fraser provided accompaniment for all the acts. Among the artistes who helped to celebrate the joy of giving were Morgan Heritage, Marcia Griffiths, Lady Saw, Etana, Allison Hinds, Macy Grey, Tessanne Chin, Barrington Levy, Freddie McGregor, Tarrus Riley, Tony Rebel, Christopher Martin, Elephant Man, Da’Ville, Sean Paul, Rayvon, Rik Rok, Brian and Tony Gold and, of course, the man of the moment, Shaggy.